Dragon's business scope includes plastic models, action figures, die-cast collectables, resin, PVC and vinyl, and R/C products. Dragon sets the industry standard in many areas, and is a market leader in many of its lines. Its fine products are much sought after by collectors worldwide, and Dragon has truly set an example for other manufacturers to emulate! In June 1942, Porsche of Stuttgart was ordered by Hitler to start designing a super heavy tank, mounting a 12.8cm gun, and having maximum possible armor. Trials were to commence in May 1943, however, many difficulties arose. For example, the air-cooled motor never materialized, and the V1 vehicle had to be fitted with a modified MB509 aircraft engine, the V2 with a MB517 diesel. Although the principle of imparting mobility to large calibre artilery pieces by placing them on special railway mountings dated from the mid-19th century, it was WWI that gave the impetus to making the railway gun an important part of many European armories. Our Price: $29.99 Sold Out! The first generation T-34 medium tank made its debut in combat during the summer of 1941, when the Wehrmacht launched its invasion of the Soviet Union. The T-34 easily outclassed the German PzKpfw III and IV models, thanks to its hard-hitting 76.2mm main gun, thick frontal armor, wide tracks, and overall superior mobility. Our Price: $39.99 Sold Out! 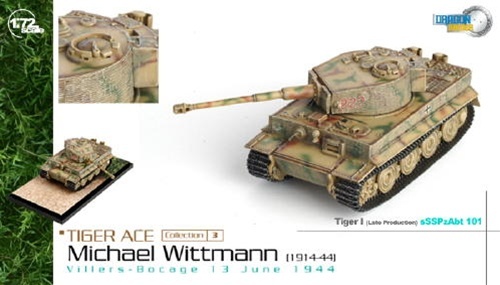 During the development of the Tiger(P) and Tiger(H), Hitler had agitated for a turret design which would be large enough to mount the 8.8cm KwK L/71 gun. This had not materialized and on September 22nd, 1942, it was decided that the StuG with 200mm frontal armor and the long 8.8cm gun should be immediately designed, with the Tiger(P) as the basis, and part of the Tiger(P) production diverted for the vehicle. Our Price: $49.99 Sold Out! Our Price: $59.99 Sold Out! The Entwicklung (Standard) program, known as the E-Series, was conceived by Dipl Ing Heinrich Enrst Kneikamp, Chief Engineer of Waffenpruefamt 6 in May 1942. In April 1943, the Heereswaffenamt (Army Weapons Office) accepted his program and ordered many different manufacturers to start the planning and development of the Entwicklung (project/development) Einheitsfahrgestell general purpose chassis. Our Price: $69.99 Sold Out! In January 1943, a new Tiger tank was ordered by the Waffenant, this time with a turret large enough to mount the fearsome 8.8cm L/71 gun. Besides improving its tank killing capabilities, the new Tiger was also intended to be more survivable on the battlefield. Our Price: $129.99 Sold Out! The German Waffenamt issued an order to design the VK4501(H) (as the PzKpfw VI Ausf. E was then known) in May 1941, just one month prior to the commencement of Operation Barbarossa. Our Price: $149.99 Sold Out! The Ausf. E mounted a huge 8.8cm KwK36 L/56 cannon and featured two MG34 machine guns for close support against enemy infantry. By war's end, 1,354 vehicles had been produced, some rolling off the Wegmann assembly line. Our Price: $179.99 Sold Out! Our Price: $199.99 Sold Out! Our Price: $209.99 Sold Out! Our Price: $249.99 Sold Out! Our Price: $349.99 Sold Out! Our Price: $599.99 Sold Out!